Why should I use Edinburgh, City of Edinburgh building merchants and timber suppliers? If you want to leave the building material selection to your hired contractor, architect or designer, then you probably won’t need to talk to Edinburgh, City of Edinburgh builders’ merchants, but it is a good idea to do so if you plan to be more hands on with your project. 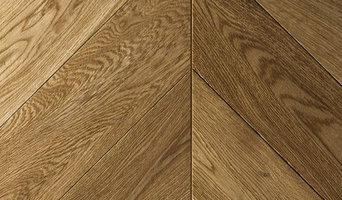 Timber merchants will be able to supply you with any wood materials you need for flooring, kitchen worktops, skirting boards, doors and more. The type of timber they can supply may depend on the supplier, but most will sell varieties of hardwood, plywood and softwood; suitable for a range of uses. If you’re after reclaimed building materials for a lived-in, vintage look, then plenty of timber merchants in Edinburgh, City of Edinburgh now offer reclaimed, salvaged or recycled wood for you to use as floorboards or wall cladding. If it all seems a bit overwhelming, Edinburgh, City of Edinburgh building merchants will be able to advise you on the advantages of choosing certain materials. Or, you can rely on building contractors, architects and designers that may be working on your house project with you to advise or select your building materials for you. Here are some related professionals and vendors to complement the work of building supplies: Specialist Contractors, Landscape Contractors, Home Builders, Main Contractors, Design & Build. Find timber and building supplies on Houzz. Narrow your search for Edinburgh, City of Edinburgh timber merchants and builders merchants’ by selecting the nearest city or postcode. Find trusted building merchants and building suppliers in Edinburgh, City of Edinburgh with reviews from residential builders, interior designers and homeowners.